There is a beautiful complexity and fullness to a fine, aged wine. This reflects its long history, the way it was lovingly created, carefully stored and left to deepen in the dark for many years. Cheap wines are made quickly. Fine wines are given the luxurious gift of time. 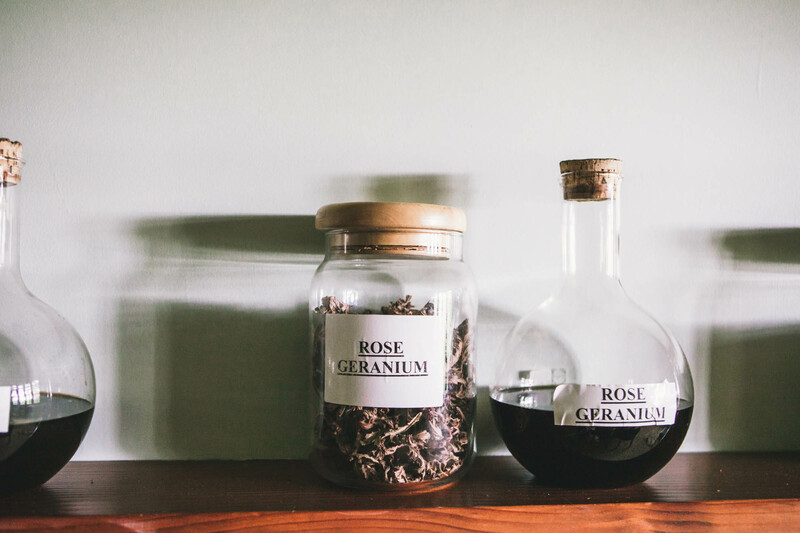 The Janesce extracts and tinctures that go into our skincare products are like a fine, aged wine. The time-honoured Janesce process allows the extracts to develop a potency and complexity that is unlike any other plant-based range we have seen. 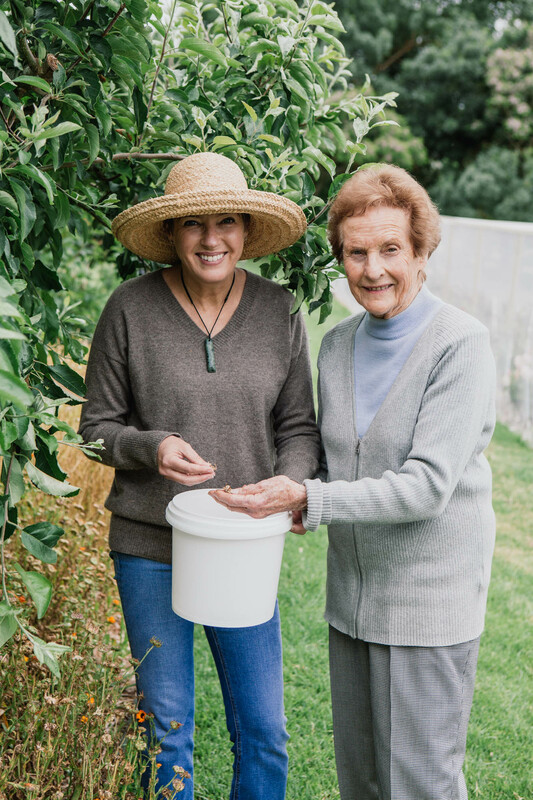 Jan and I had a conversation about this recently, when I visited her at the home of Janesce, Claret Ash Farm in the Adelaide Hills of Australia. 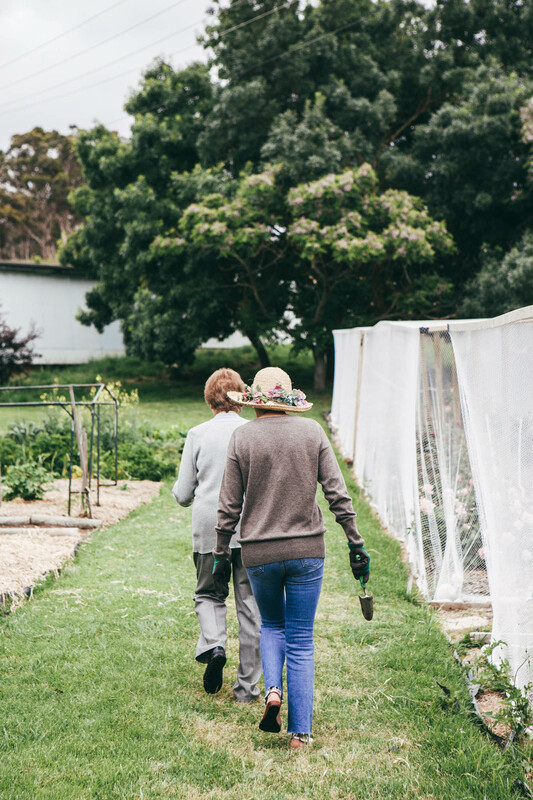 We wandered together through the Janesce laboratory – a refurbished farm shed, in easy walking distance of rows of organic herbs, lavender, roses and calendula. “Of course, you know we leave them here for years, Janine”, says Jan, her 86-year old hands deftly whisking away a spider-web suspended between two bottles of Janesce Speedwell tincture on the bottom shelf. The Lab is where Jan and her team wield their magic. The season’s harvest of lovingly tended plants are steeped for several months to extract all of the plant actives and goodness into liquid form. All that is left of the original plant is a cellulose skeleton. These potent solutions form the Janesce tinctures and extracts, which are made according to Jan’s private formulas. They are stored in dark, glass bottles, labelled and left to mature on the shelf. This time-honoured process allows the plant actives to develop their properties and makes them far more effective at treating the skin than less dedicated botanical ranges. What is the reason for all of this patient waiting? Plant tinctures change over time. A complex set of chemical interactions continue even after the extraction process is complete and they have been filtered and put in a bottle. 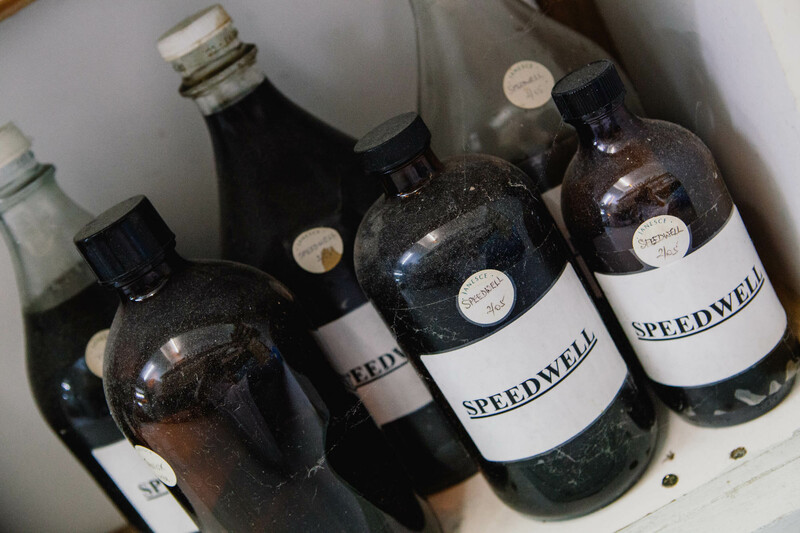 As the tinctures get older, more chemical reactions occur. This is especially true when they contain large organic molecules called tannins. Tannins react with the other molecules producing a more complex, active blend. “Here, Janine – smell this. 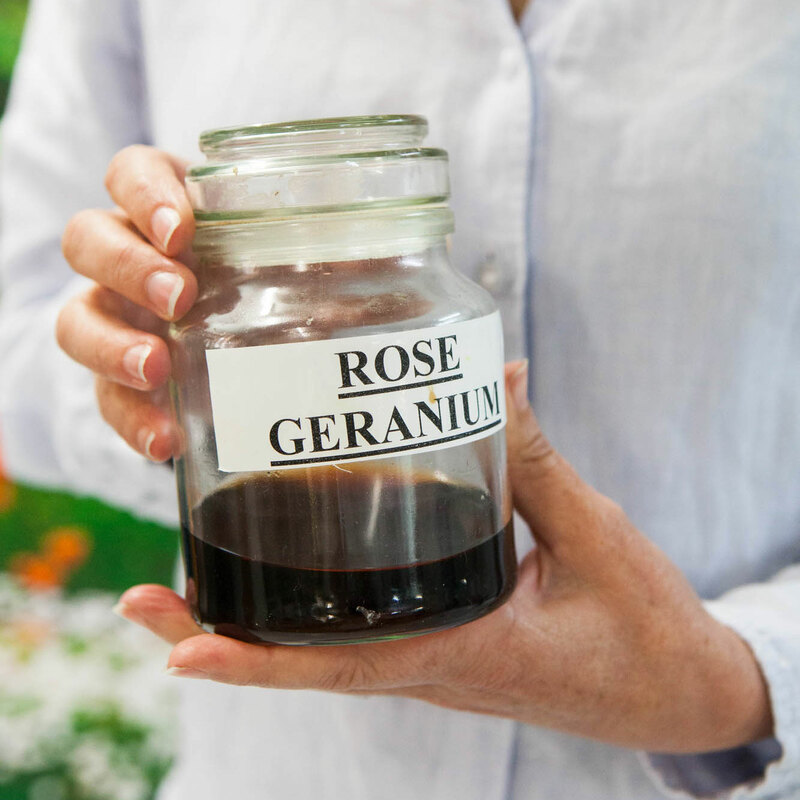 I found it recently”, said Jan – handing me a tincture of Rose Geranium that had been extracted nearly 40 years ago, and had somehow remained hidden for four decades. As I carefully took the lid off, the sweetness and depth of the fragrance filled the room. It was phenomenal! Compared with one that had been extracted a few months earlier it was off the charts in terms of complexity and depth. You could have used the aged-tincture as a perfume. I managed to secure a small bottle of it so you can experience this difference yourself at this year’s Janesce Conference. 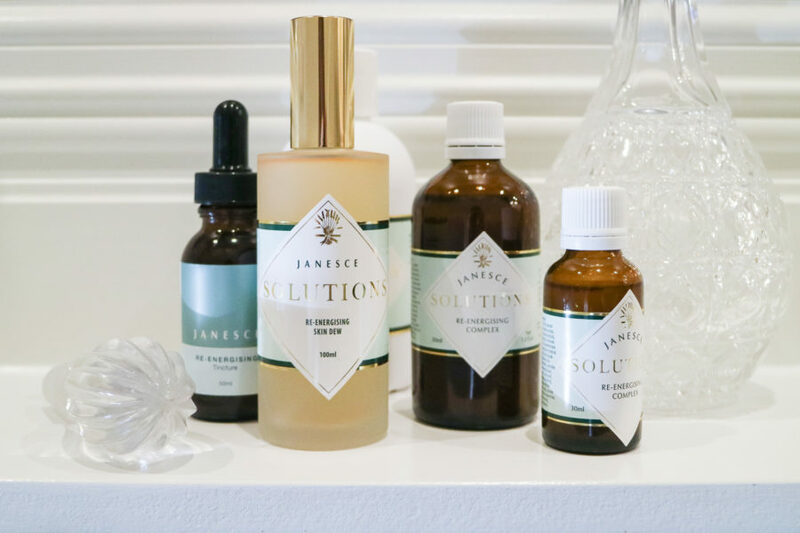 While it is unlikely your Janesce skincare products will contain tinctures of that vintage, it is not uncommon for them to contain tinctures that are five, six or even seven years old. They are aged for a minimum of three years to allow them to develop and for all the plant extracts they contain, to blend and ‘talk’ to each other. As you can imagine, this ageing process is expensive. Hundreds of bottles need to be stored under carefully-controlled conditions and there will also be losses during that time to evaporation and potential breakages. It is an understatement to say that this is NOT industry standard and we don’t know of any other skincare company going to this extreme to get the very best out of their plant extracts. 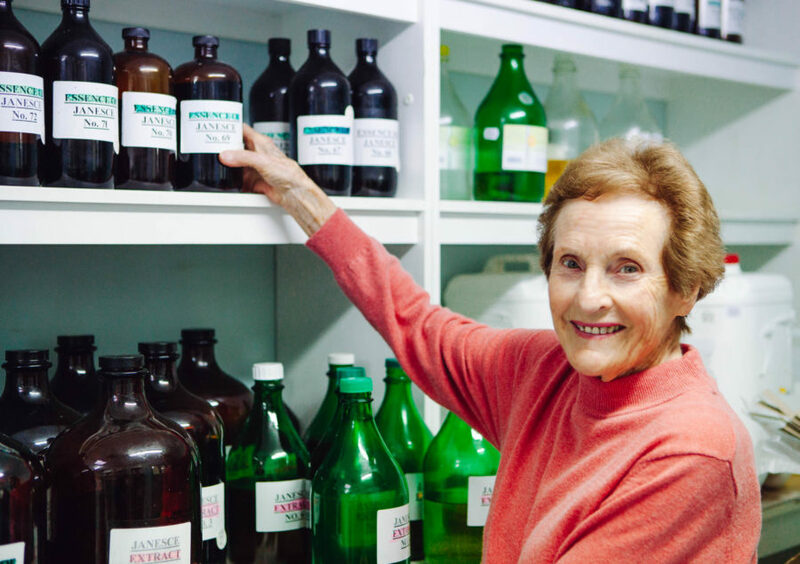 It would be financially prohibitive for a company to begin working this way from scratch and the only reason Janesce can do this is because Jan Smith has been diligently producing tinctures for nearly 40 years and stashing them away. Each year the farm gets a little bigger and produces far more extracts than can be used. This means we will continue to have an ongoing supply of beautifully aged tinctures to use in Janesce products.